Britain’s international reputation remains tarnished by the state’s failure to conduct adequate inquiries into killings in Northern Ireland involving UK security forces over two decades ago, a parliamentary human rights watchdog has warned. In a report, published by the UK’s Joint Committee on Human Rights (JCHR), the supervisory body acknowledged Britain has implemented the majority of judgments issued by the European Court of Human Rights (ECHR). However, it stressed unacceptable delays with a select number of cases is damaging Britain’s overall human rights reputation. The Committee’s report identified three separate areas, which demonstrated an unacceptable degree of progress: cases from the 1980s and 1990s where the state had deployed lethal force during the Troubles in Northern Ireland; the holding of suspects’ genetic material in Northern Ireland; and voting rights for prisoners. The parliamentary watchdog consists of 12 members of Britain’s House of Commons and House of Lords. It is charged with considering and monitoring human rights concerns in the wider UK, but does not have the power to take up cases on an individual basis. The watchdog’s report expressed concern over the British state’s investigation of cases relating to the Troubles – a grueling political and ethnic conflict that plagued Northern Ireland between the late 1960s and 1998. It suggested many cases from this era that were delayed on repeated occasions are marred by allegations of collusion with UK security forces. The watchdog cited the killing of prominent Belfast human rights lawyer, Pat Finucane, as an example. Finucane, who was highly respected in his community, was gunned down on February 12, 1989, as his wife and children watched on. John Stevens, ex-Assistant Chief Constable of the Cambridgeshire Constabulary, carried out multiple probes into alleged collusion between loyalist paramilitaries, the Royal Ulster Constabulary (RUC) and the British Army. However, the vast majority of evidence he sourced remains obscured from public knowledge. Despite the fact Stevens’ findings remain shrouded in secrecy, human rights groups and campaigners argue its highly likely elite UK officials would have known of the plot to kill Finucane prior to his murder. 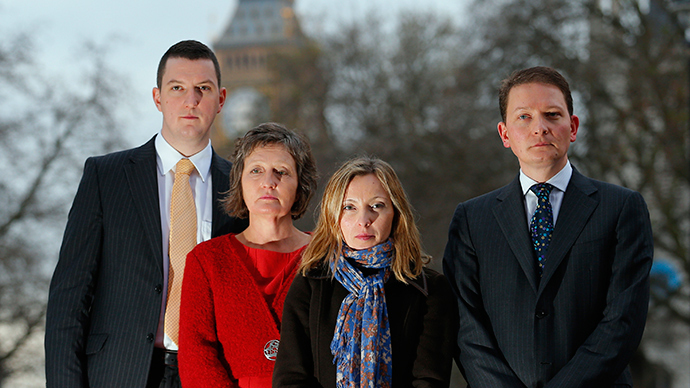 Members of the Ficunane family travelled to Downing Street in central London to meet with Prime Minister David Cameron in October 2011. The PM reportedly conceded that Pat Finucane’s fatal shooting was characterized by state collusion. However, a judge-led recommendation for a public inquiry into his death, backed by ex-Labour Prime Minister Tony Blair, was eventually rejected. Scrutiny of Cameron regarding the British government’s refusal to back the public inquiry was blocked in 2012 by an official Downing Street affidavit. At the close of 2012, a mural dedicated to Finucane was erected in west Belfast. The Pat Finucane Inquiry, a campaign dedicated to uncovering the truth about the lawyer's murder, continues to advocate for justice. Reflecting on such miscarriages of justice, the JCHR acknowledged that pledges issued by the Stormont House Agreement, finalized in December 2014, may finally yield the truth. The Agreement is a political compromise between the Irish and British governments, along with certain parties which make up Northern Ireland’s devolved legislature. Despite acknowledging the deal signals progress, the JCHR stressed proposals embedded within it are hampered by long delays and scant resources. “We are particularly concerned by the prospect that it may be two years before the new historical investigations unit starts its work,” its report said. The human rights watchdog warned further the historical investigations unit is incapable of satisfying human rights requirements as it lacks independence from Britain’s police service. The JCHR called for the Irish, British and Northern Irish governments central to the Agreement to publish a more precise and detailed set of policy proposals. In December 2014, the Irish government asked the ECHR to reexamine the 1978 verdict of the Hooded Men Case. The Northern Irishmen involved seek justice after a new set of previously classified documents point to torture by the UK government in the high-profile case. The case in question involves torture allegations brought by 14 suspects who said they were subjected to maltreatment during their detention without trial in 1971 at the Ballykelly British Army Base in County Derry, Northern Ireland.